The torque of the gears is logically trasmitted on the bearings. 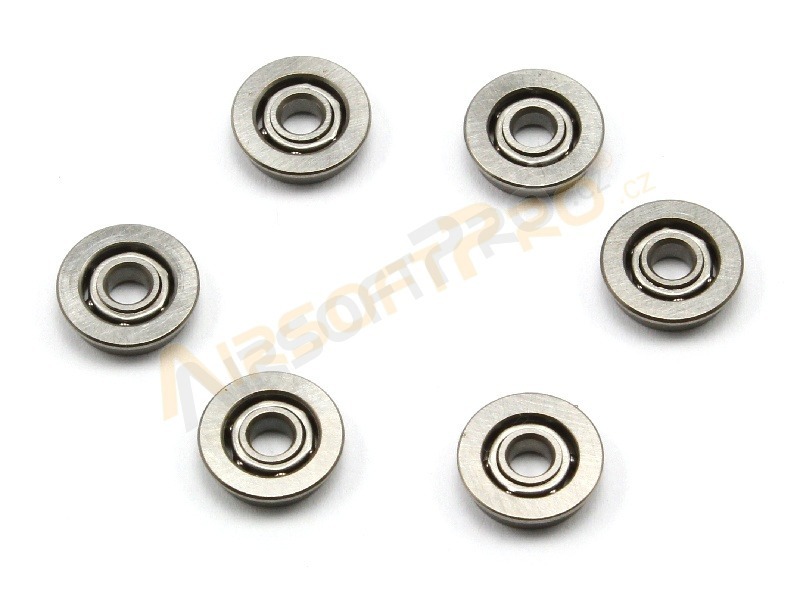 If you have stronger spring, the torque is bigger and standard plastic bearings couldn`t survive so heavy load. This is reason why we offer metal bearings. 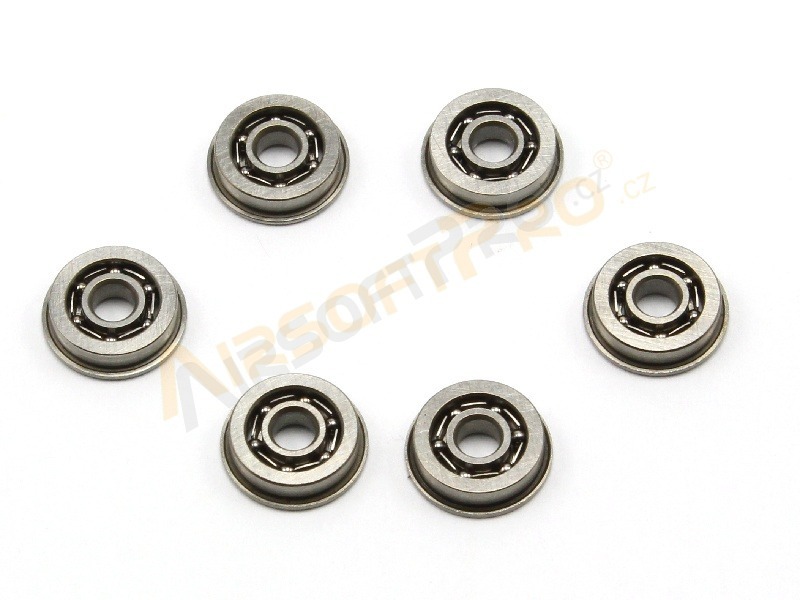 Ball bearings icrease mainly rate of the fire and provide maximally smooth gear movement.